For modern production requires a high performance metal cutting and superficial plastic deformation (SPD). The process SPD at high speeds is accompanied by vibrations and processes of oscillatory. These processes reduce the quality of the machined surfaces. The transition from a stable position of the indenter for smoothing to the vibrating almost unnoticeable. This is especially pronounced in the processing of materials such as aluminum, copper, titanium and their alloys. The results of experimental studies to determine the boundary of technological of factors of machining, appropriate of sustainable process smoothing nonferrous metals. Describes a method of finding a simplified of stability criterion of the indenter for smoothing of parts of non-ferrous metals. Kudinov V.A. Machine dynamics. – M: Mashinostroenie, 1967. – 360 p.
Telkov I.A. Regular component of the profile of the roughness after superficial plastic deformation // Engineering industry and life safety, 2011, № 1 (8). – P. 73-76. Telkov I.A. 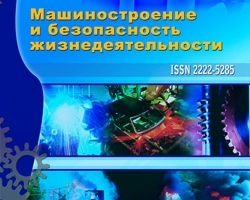 Self-oscillatory movement of the indenter in the direction of the velocity at the surface plastic deformation // Engineering industry and life safety, 2012, № 2. – P. 73-76. №4 (14) 2012, Stability of the indenter at smoothing non-ferrous metals, Telkov I.A.